I’ve been competing in multi-sport races of all kinds for the past several years but I’ve never done a true winter triathlon. So, the whole family is headed up to Tennessee Pass tomorrow so I can race the 2nd Annual Pedal Power Winter Triathlon. It’s a 5k snowshoe, a 10K bike (on packed snow trails) and then an 8K skate ski. It sounds like there’ll be some good competition for me including Olmypian Rebecca Dessault and Xterra pro Lisa Isom. I haven’t been on my bike since December in Abu Dhabi and I’ve only been skate skiing a few times this season, so I don’t have high expections for a win; I’m just hoping to race strong. Most of all, this will be great training for the upcoming Xterra Winter World Championships, where I’m going to try and defend my title this March. 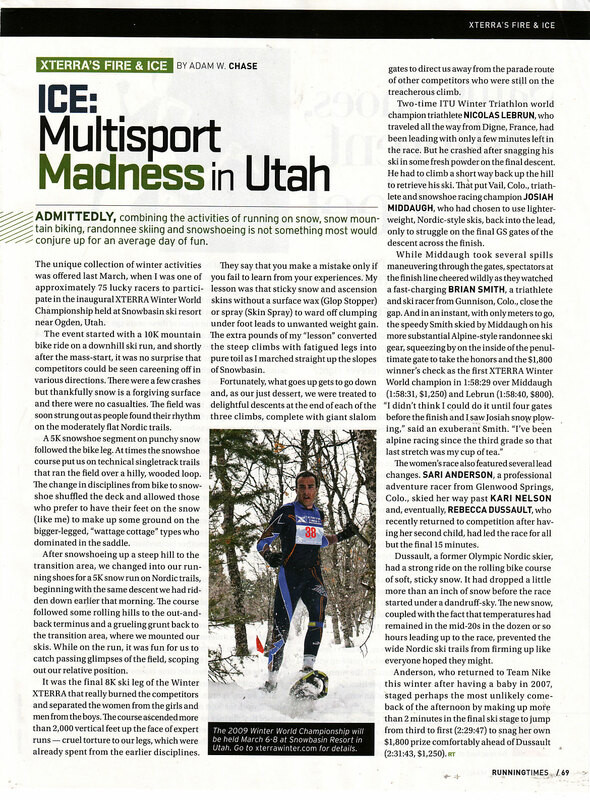 Adam Chase has a nice story about last year’s race in this month’s issue of Running Times. Click the image on the right to read the article. 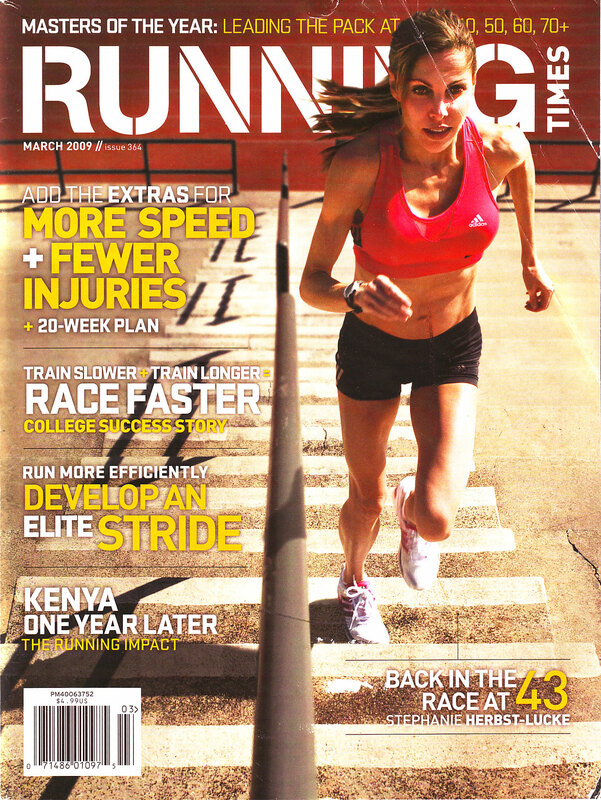 Or better yet, buy the March issue of Running Times on your local newstand. It’s a great magazine. I know you’ll kick a$% since you have such a great support team. Good Luck. What tire pressure do you recommend for snow biking on groomed trails at Tennessee pass? I was going to do the night race there this SAt. I believe my pressure was around 15psi but that was too much. 10-12 psi would probably be good. Get out on the course first and play with it if possible. Good luck and have fun! Wow, that seems so low! I put on 2.6’s with about 25 psi. I guess I will lower it to around 15-20 since I weigh a little more. I will make sure I bring my pump with me to make adjustments.